A major acquisition of defence equipment from Russia has delivered a clear message to the Trump administration on India’s perspective of strategic autonomy in matters of national security. The Indian Air Force (IAF) will finally get five squadrons of the S-400 Triumf long range, advanced air defence missile system from Russia. The long-awaited historic deal for this highly potent weapon system valued at $ 5.43 billion (Rs 40,000 crore approximately), was concluded on October 05 this year at New Delhi during the visit to India by Vladimir Putin, President of Russia. This landmark agreement is for one amongst the largest deals for procurement of defence hardware entered into by India in the history of military-technical cooperation with Russia. It is also the largest in the country’s association with Rosoboronexport. The last major successful contract with Russia for the IAF was for the purchase of Su-30 MKI fourth generation combat aircraft. Hopefully, this initiative of the NDA government for the S-400 will not go the way the contract for 36 Rafale jets appears to be headed. 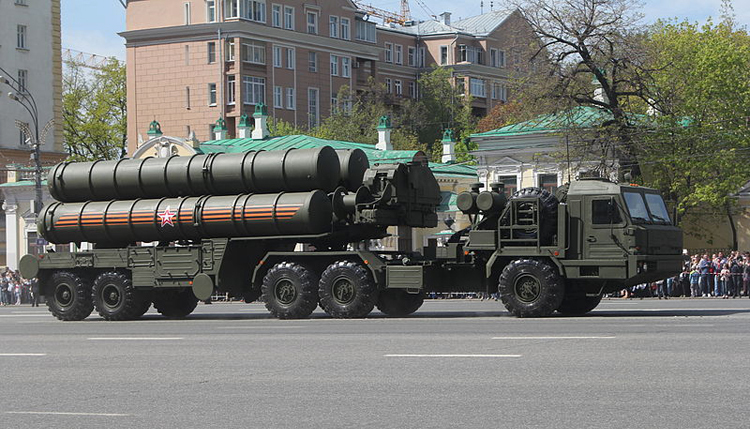 Described as one of the best air defence missile systems in the world with an impressive array of highly advanced technical features, development of the S-400 Triumf by Almaz Central Design Bureau, commenced in the late 1980s. Essentially an upgraded version of the S-300 air defence missile system, its development nevertheless had its share of impediments and uncertainties that had its adverse effects leading to considerable delay in the programme. The S-400 air defence missile system was finally ready and accepted for induction into the Russian Armed Forces in 2007, nearly two decades after the launch of the project. When inducted into the IAF, the S-400 squadrons are planned to be deployed in the National Capital Region and the Mumbai-Baroda Industrial Corridor. The S-400 together with the two squadrons of Rafale jets as and when in service with the IAF, will prove to be a real force multiplier. Procurement of the S-400 Triumf will be a proverbial shot in the arm for the IAF especially as the strength of its combat fleet had dwindled to just 31 squadrons or around 600 aircraft as against the authorised level of 42 or over 800 aircraft. Apart from the fourth generation Su-30 MKI, the combat fleet of the IAF has only third generation aircraft that have been upgraded and their life extended to be in service for another decade or so. In the absence any definite or credible plan for large scale induction of combat aircraft in the near future, the strength of fighter squadrons in the IAF in all likelihood, will only go down further. Induction in the next few years of a few light combat aircraft Tejas Mk IA manufactured by Hindustan Aeronautics Limited (HAL) as also two squadrons of the Rafale jets procured off the shelf from Dassault Aviation of France - provided the project survives the ongoing turbulence, would not be enough to restore the operational edge of the IAF over its two adversaries. Pitted against the IAF on the Northern front is the People’s Liberation Army Air Force (PLAAF) of China that has on its inventory, over 1,700 combat platforms which include around 800 fourth generation fighter aircraft. The PLAAF is also in the process of moving into fifth generation as well for which induction of platforms has already begun. On the Western front, the Pakistan Air Force (PAF) has over 20 fighter squadrons with upgraded F-16 Block 50/52. Also, in collaboration with the Chinese aerospace industry, Pakistan is manufacturing within the country, the J-17 Thunder for induction into the PAF in large numbers. Nearly 100 of these are already in service with the PAF. Apart from these, the PAF is slated to receive fourth generation platforms from China. In the long term, it should only be expected that with assistance from China, the PAF will foray into fifth generation as well, the induction beginning in not too distant a future. The debilitating shortfall of aircraft currently afflicting the combat fleet of the IAF, has undoubtedly affected the capability of the force to be a deterrent or to pose a challenge to the two adversaries China and Pakistan especially if they opt to act in collusion. It is in this scenario that the S-400 Triumf long range air defence missile system with the capability of intercepting targets at ranges up to 400 km, together with the two squadrons of Rafale jets as and when in service with the IAF, will prove to be a real force multiplier in respect of the nation’s capability to wield air power. This capability will be of significance especially in the event of a two-front war scenario, the possibility of which is only growing with the increasing collaboration between the two adversaries and the escalating tension with both in their relationship with India. Although the S-400 deal has been concluded, there is still a shadow of uncertainty on account of the policy of the United States (US) of Countering America’s Adversaries Through Sanctions Act (CAATSA). This law restricts defence purchase of military hardware from Russia, Iran and North Korea and renders nations doing so, vulnerable to sanctions by the US. The related issue is that the US has declared India to be a Major Defence Partner” and one would tend to conclude that India cannot ignore the diktat from the US. 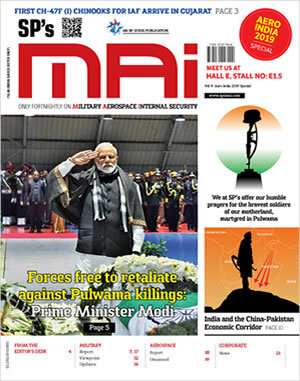 However, it is important to understand that while India has been declared by the US as a “ Major Defence Partner”, it is not an “Ally” or crony of the US. Despite the special status accorded to India by the US, the nation will continue to retain its independence in foreign policy and international relations. While after the emergence of a uni-polar world, the IAF that had been tethered initially to the Soviet Union and later to the Russian federation, opened up acquisition of defence equipment to the Western world including the US from where the IAF procured the C-17 Globemaster III strategic airlift aircraft, the C-130J Super Hercules tactical transport aircraft and Boeing Business Jets. In addition, currently, 22 AH-64E Apache attack helicopters as also 15 CH-47F Chinook heavy lift helicopters, both from the US aerospace major Boeing, are on order. Besides, the IAF is seeking to procure Unmanned Combat Aerial Vehicles (UCAV) from US manufacturers. What the US needs to understand that over 70 per cent of military hardware with the Indian Armed Forces is of Russian origin. In any case, India is now of much greater strategic importance for the US in the Indo-Pacific region to counter the growing influence of China. Logically, a militarily strong India ought to be in the US interest. Despite veiled threats by the US of sanctions, India has gone ahead to make a major acquisition of defence equipment from Russia, delivering a clear message to the Trump administration on India’s perspective of strategic autonomy in matters of national security.